FedTek MASE certified solutions engineers provide services that include assessments, installation, migration, upgrades, software, testing and consulting. 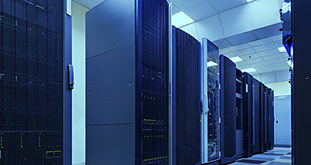 FedTek specializes in providing enterprise wide storage data center solutions. To serve the Federal Government well, FedTek has its own GSA Schedule (47QTCA18D000N) and other contracts available upon request. FedTek is a small business based in Woodbridge VA with over 20 years of experience providing total network solutions to the Federal Information Technology marketplace. FedTek has its own GSA Schedule (47QTCA18D000N) and other contracts available upon request. FedTek offers a wide array of IT products and services from infrastructure management software, mass storage devices, to computer desktops and notebooks. Call us at 703-551-4718 or Contact Us for more information on how FedTek can help you with your every IT need.